Wed, 24-Apr-2019 - 20:07:44 ---- The fact: 42.844.000 visitors done. Alstom has now used polyethylene piping instead of concrete in a power station’s cooling water intake for the first time. The advantages of polyethylene piping are that it is easy to install on the sea floor and has a life expectancy of at least 50 years in salt water compared to about -25 years for certain concrete pipes. The gas-powered combined cycle power plant was built in Fos-sur-Mer in southern France by CyCoFos, a power company that is a subsidiary of Gaz de France. 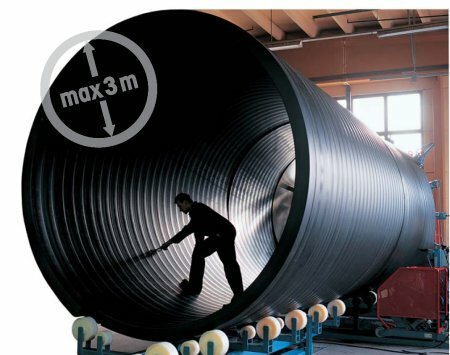 The pipe used was KWH Pipe’s Weholite, one of the few polyethylene pipes in the world that can be made in dimensions of more than two meters. What makes the pipe unique is that it has a hollow profile wall that can be filled with concrete to weight it down. The piping is practically maintenance-free since all joints are welded and polyethylene does not corrode in salt water. These qualities were factors behind the decision to bring the cooling water into the power station through polyethylene pipelines instead of using pipes of less advanced materials. "Normally, external weights are used to weigh down polyethylene pipes, but it isn’t practical when we’re talking about pipes with diameters of two to three meters that are going to be buried under the sea floor for safety reasons”, says Christian Vestman, project manager at KWH Pipe. 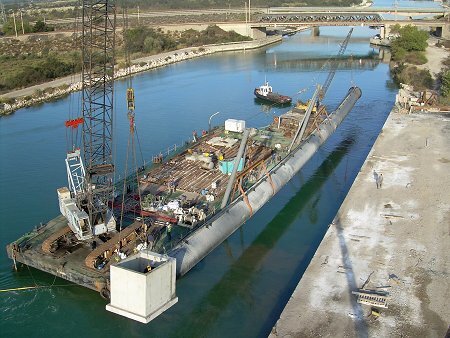 “By using non-hardening cement mortar, the pipe retains its built-in flexibility, which means it can withstand different load situations on the sea floor better than rigid pipes." "The job involved four parallel pipe sections of about 70 meters each. The piping was welded together in advance on land and transported as a whole to the installation location. They were then filled with water and sunk into the pre-dredged channels on the sea floor. Finally, the piping was covered with sand and rocks so the sea floor looked natural again." 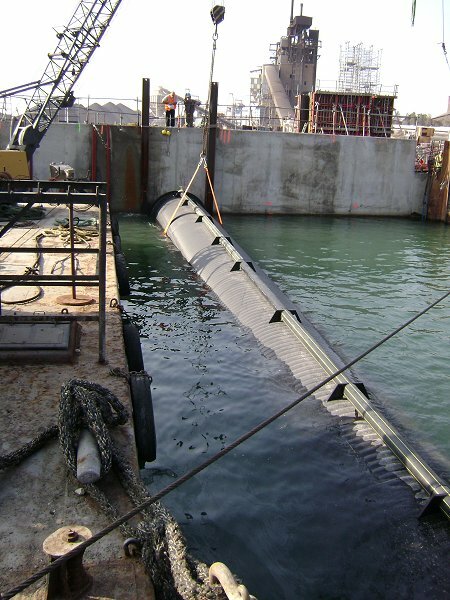 Constructing piping with short concrete pipe sections that are connected with sleeve couplings on the sea floor requires significantly more diving, which is an expensive operation. "The actual underwater work took less than a day per pipeline”, says Delaplace. “There is also no risk of leakage in the piping, which is a risk with sleeve couplings." 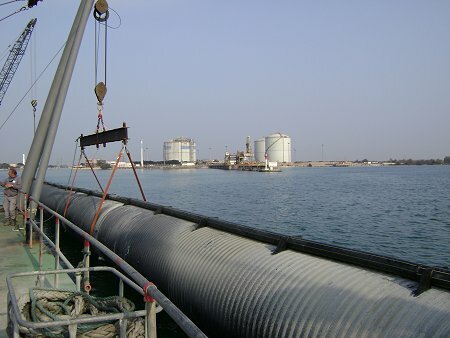 Weholite, KWH Pipe’s patented profile wall piping system, is easy to install on the sea floor even when the diameter exceeds two meters; the pipeline can be completely welded together on land and anchored to the sea floor without expensive external weights, since its hollow profile wall can be filled with cement mortar to weight it down.